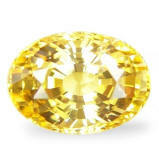 Yellow sapphire is also known as Pushparagam and Pukhraj. 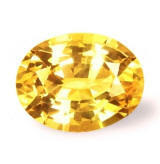 Because our yellow sapphires are natural and untreated, they are very auspicious for Vedic astrology. Wearing an unheated, clean and well cut yellow sapphire is said to bestow wisdom and good fortune. It enhances divine guidance and God's grace upon the individual. Yellow sapphire assists in bringing about the fulfillment of ambitions. Jupiter is also known as Guru and Brihaspati. If you want to know more about the astrological and healing benefits of yellow sapphire, click here. Sensuously lovely, great cut with clean clarity, unheated, Ceylon yellow sapphire. What a beautiful lemon yellow color in this one. It was mined in the Elahera area, cut & polished in Ratnapura, Sri Lanka. A perfect combination of finest lemon yellow color, great spready face, and exciting luster due to the well done flower pavilion. Guarantee to set perfectly either a ring or pendant, and to attract the benevolence of Jupiter. 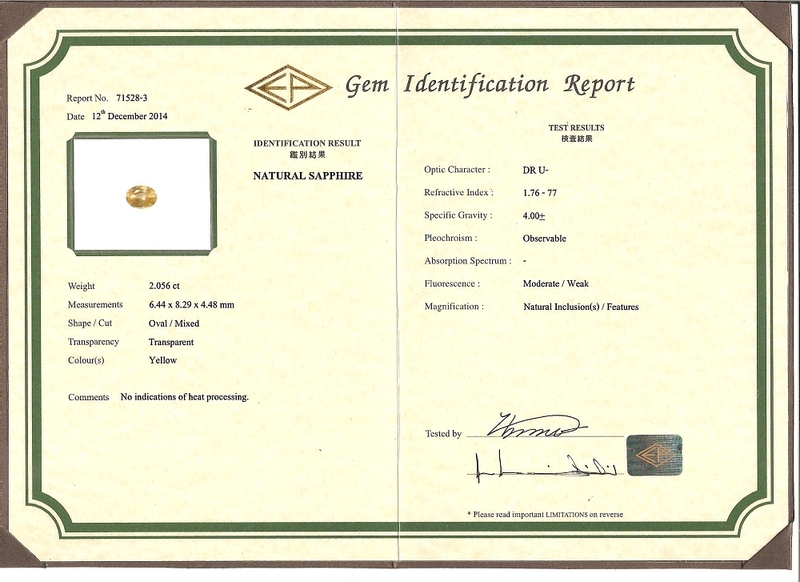 Certified unheated by the GGTL (Global Gem Testing Laboratory, Sri Lanka). Delightfully gentle, beautiful & well cut, unheated, Ceylon yellow sapphire. 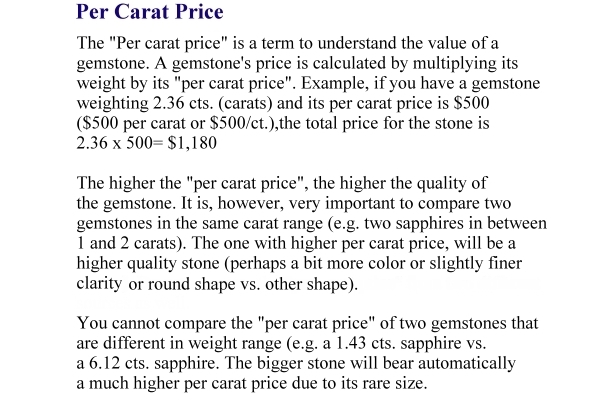 Simply an auspicious sapphire for astrology. A very pleasing, unheated, Ceylon yellow sapphire hailing from the gem fields of Marapana, cut & polished in Ratnapura, Sri Lanka. A yellow sapphire that has the look like of a flowers, always shining, always delightful to experience. This is great example of no heat, Ceylon yellow sapphire of sweet eye appeal. 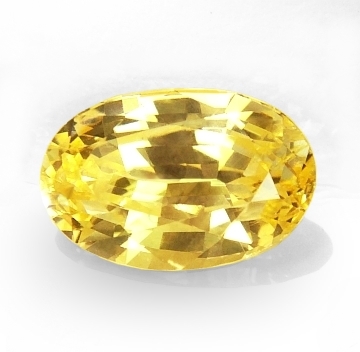 Super brilliant, well cut & clean, unheated, 3rd party certified unheated, Ceylon Jyotish yellow sapphire. A most vibrant, with sun-like luster, 3rd party certified unheated, Ceylon yellow sapphire, this was mind in the Kuruvita area, cut & polished in Ratnapura, Sri Lanka. 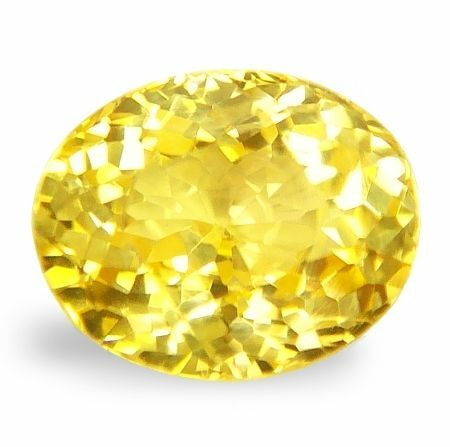 If you like the finest brilliance, the sought after round shape, and a definite spell-binding presence, you should consider this unheated yellow sapphire. Great price for a completely natural sapphire with no treatment in the 2 cts. round shape. Certified unheated by the GGTL (Global Gem Testing Laboratory, Sri Lanka). Very pure, with delicate & auspicious energy, clean & well cut, unheated, Ceylon yellow sapphire. I love this yellow sapphire. Of course, unheated, untreated & completely natural, as mother nature created millions of years ago in its belly. It hails from the gem fields of Kuruvita, cut & polished in the Ratnapura, Sri Lanka. 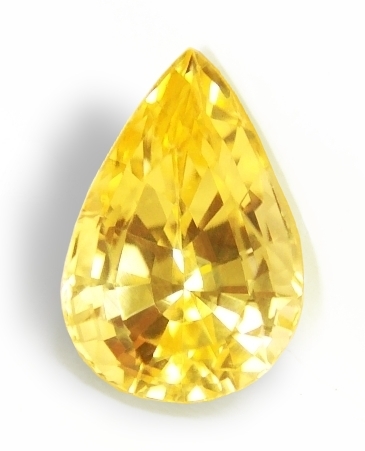 A very uniquely shaped, unheated yellow sapphire with light "sunshine" yellow color. Ideal for a person with long & slander fingers, this sapphire is sure to set exquisite. Perfect pendant stone, very well cut, adorable. Unique for an unique person. Surely the pic does not do much justice, but guaranteed a beautiful sapphire. This one was mined in Pelmadulla, and cut & polish in Ratnapura, Sri Lanka. Pear shapes are rarely cut, but this one is simply perfect. The shape has just perfect cutting proportions. Add the flawless clarity and unheated yellow hue, well, definitely a recommended sapphire. Will mount very well. 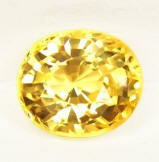 Very lovely, definitely auspicious, unheated, Ceylon yellow sapphire. Finely cut. We like heart shape sapphires. This one hails from the gem fields of Kuruvita, and cut & polished in Beruwela, Sri Lanka. Very sweet, unheated Ceylon yellow with the typical, light maize (or "straw" yellow) color and an unique and feminine shape. Will mount simply well and destined to uplift your spirit. Delightful & charming, ideal pendant gem, unheated, Ceylon yellow sapphire. Just sweet. A most perfect, unheated, Ceylon yellow sapphire that will mount splendid. It hails from the gem fields of Ratnapura, Sri Lanka. Beautiful gem, inundate with warm, fine lemon yellow color and possessing a tangible, sweet energy. This unheated yellow will make a most wonderful talismanic pendant. Vivacious with fine natural good color, 3rd party certified unheated, Ceylon yellow sapphire for Jyotish. 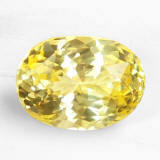 A gorgeous, 3rd party, certified unheated, Ceylon yellow sapphire hailing from the gem fields of Ratnapura, Sri Lanka. Top unheated color, perfectly cut, this gem has a vivacious & exciting shimmer. Clarity is good, and the whole stone is definitely beautiful...a candy-like gem. Certified unheated by the Lakshani Gem Testing Lab (Sri Lanka). 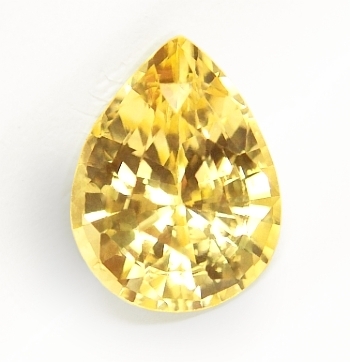 Gorgeously bright, perfect cut, seriously beautiful, unheated, Vedic yellow sapphire. What a wonderful sapphire! This was mined in Lellopitiya, cut and polished in Ratnapura, Sri Lanka. The cut is absolutely perfect, and the luster and scintillation is truly something to experience. 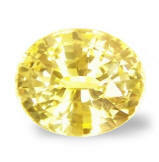 Overall, a top class, unheated, Vedic yellow sapphire guaranteed to bring joy and auspicity in your life. 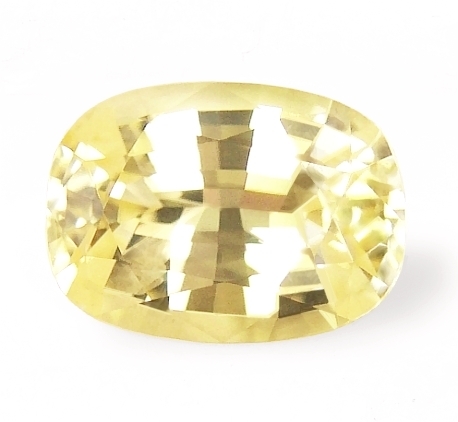 Simply perfect, flawless clarity, well cut with good color, unheated, Jyotish yellow sapphire. Exuding perfection, allure and beauty, this unheated, Ceylon yellow sapphire was mined in Elahera, cut and polished in Beruwela, Sri Lanka. A perfect yellow to propitiate the energies of Jupiter. Will mount very beautiful & feminine in one of our custom, lady's ring settings. A beautiful one. 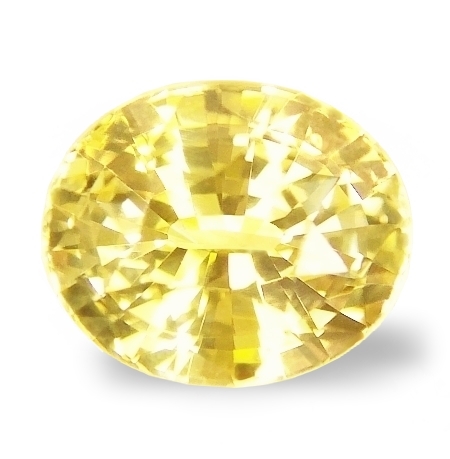 Serene yet imposing, perfectly cut, 3rd party certified unheated, Vedic yellow sapphire. A most enticing, 3rd party certified no heat, Ceylon yellow sapphire, It hails form the gem fields of Nivitigala, Sri Lanka. Classic shape, classic golden yellow color, classic exotic feel, this is a high quality, unheated yellow that is simply perfect. If you like perfection & auspicity, this is a stone for the most discriminating spiritual seeker. Certified unheated by the Emil Gem Laboratory (Japan) and the GIL. 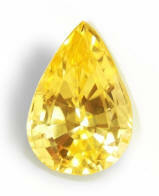 Spell-binding, perfectly cut for large appearance, unheated, Vedic yellow sapphire. This is a very beautiful, unheated Ceylon yellow sapphire, that was mined in the Elahera region, cut & polished in Ratnapura, Sri Lanka. 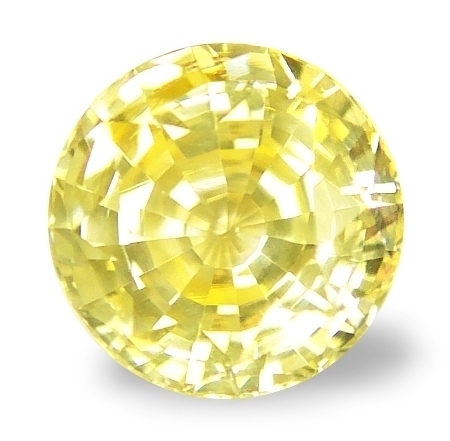 Top lemon yellow, perfectly cut with large face, looking more like a 2.8-3.0 cts. stone, and very clean. Overall, a top, unheated yellow sapphire to propitiate Jupiter and guaranteed to set beautifully in any setting. 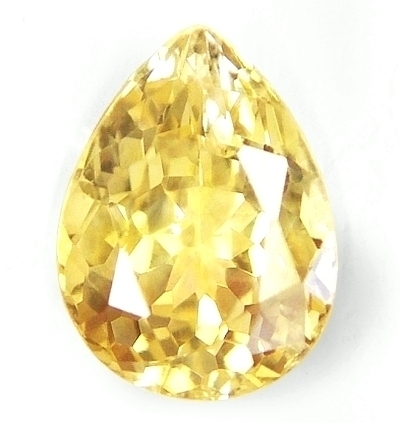 Like a golden drop of honey, immaculate, 3rd party certified unheated, Ceylon yellow sapphire. A beautiful, 3rd party, certified unheated, Ceylon yellow sapphire mined in the gem fields of Lellopitiya, Sri Lanka. Such purity of color & clarity, with a slightly elongated oval shape that is delightful & unique. If you have slender fingers and a relatively small hand, this is the right gem for you to propitiate Jupiter. Certified unheated by the SGL (SanGems Laboratories, Colombo, Sri Lanka). 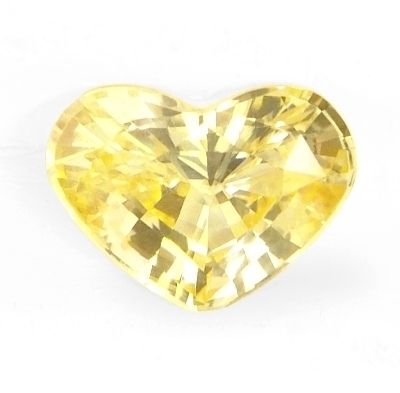 Diamantine, adorable drop shape, 3rd party certified unheated, Ceylon yellow sapphire. Perfect pendant gem. Absolutely beautiful, this 3rd party, certified unheated, Ceylon yellow sapphire hails from the gem fields of Elahera, Sri Lanka. 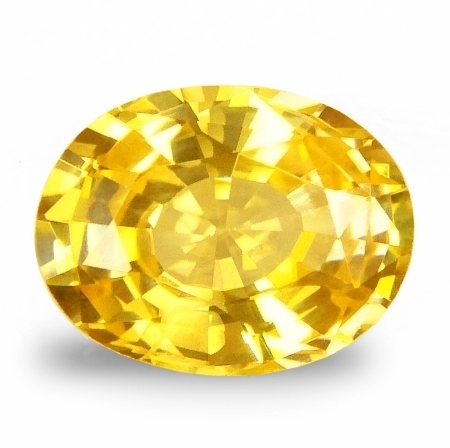 A very pristine yellow sapphire that exudes a calming, yet uplifting energy. Perfectly cut, owning luster & magic. Certified unheated by the Lakshani Gem Testing Lab, Colombo, Sri Lanka.